Home Food & Beverage Ramen Nagi Podium: 2 Bowls for Php600!!! Time for some random ramen date! 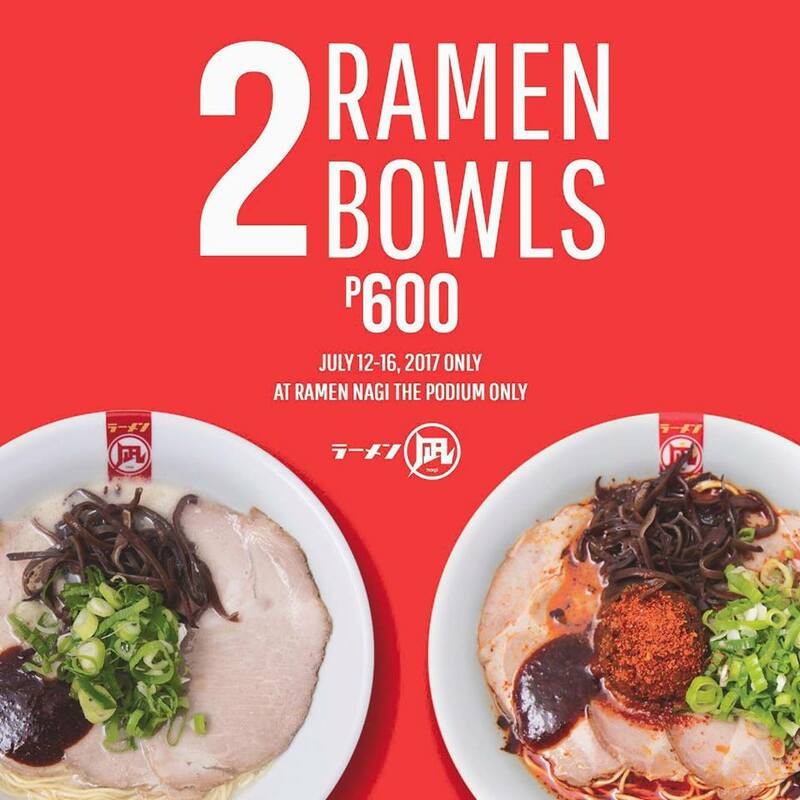 Exclusive to Podium branch, get 2 bowls of your #FavoriteRamen for only P600! * Butao and Butao combination is allowed. * Limited king is not included in the promo. * Guest must tell the staff that they are getting the 2 bowls 600 promo upon ordering. Previous articleFully Booked Bonifacio High Street: Books as low as Php50!!!! Next articleSeat Sale Alert: SkyJet Airlines || Batanes, Boracay, Busuanga, Siargao!! !